Hope, as much as air or water, is crucial for life. One’s heart and lungs may continue to function mechanically without it, but the resulting withering is undeniable. I often wonder in this column if I’m conveying fictitious images of our family as a Duluth version of the Swiss Family Robinson. I frequently write about an amazing adventure our family enjoyed, and love sharing these with all of you in an effort to encourage families and individuals to step out and enjoy the wonders to be explored in our community and world. 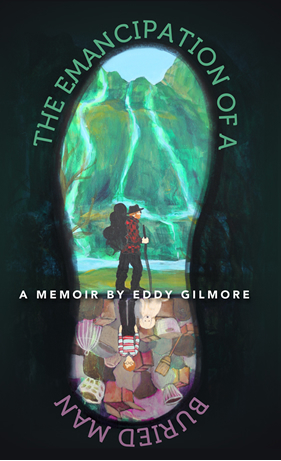 However, there rarely is space to share the often more numerous stories of adventures and other experiences that were merely endured. This story is being written a few days after one summer vacation that didn’t go as planned, and the night before another trip that I hope will go better. The last “vacation” was spent beside a beautiful bog a mere mile from the Boundary Waters in a gorgeous private log cabin with no other cabins or dwellings within site or earshot. The craftsmanship put into the dwelling was impressive, and it even came with an authentic Finnish sauna that we enjoyed daily. It would be the perfect getaway in fall or winter, but add heat and hordes of hungry bugs and you have a recipe for whiney kids who couldn’t find their groove. What had been conceived as a marvelous opportunity to vacation in a wilderness setting with our kids’ Grandma, Grandpa, and a long lost uncle, ended up being a bit of a letdown unfortunately. And yet, this is life. Sometimes the best laid plans end up being foiled. Generally bugs are a non-factor in late August, for example, and theoretically we should be able to move past less than ideal external elements that are beyond our control. Kids aren’t born with this capability, however. It’s a learned trait. So, we’ll get back on the bike and try again…. This time I borrowed an idea from Andrew Slade’s helpful book, Camping the North Shore. We’re heading up to the Sawbill Lake Campground at the end of the Sawbill Trail (24 miles to the end of the road north of Tofte). Sometimes borrowing an idea from a helpful guide or friend is just what we need. While I’m big on trying again and not giving up, it’s also crucial not to slap the kids with back to back whammies. Arriving on a Sunday, we were able to reserve what is widely considered the best site on Sawbill Lake, which is a Boundary Waters entry point by the way. 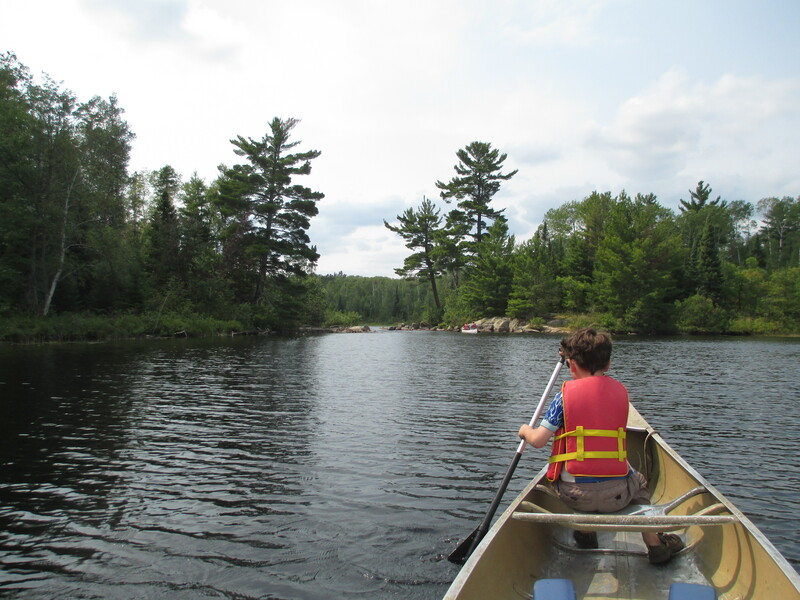 This should afford an easy opportunity to give the kids a simple taste of the BWCA. My hope is that they’ll thirst for more. I’ll also be on my own best behavior by setting low expectations. Last week we portaged a total of a mile and paddled canoes on a day trip for several hours on the Kawishiwi River in the BW. Suffice to say, it was a bit too much. This time I’m able to offer a very short portage of less than a tenth of a mile into Alton Lake, which apparently has some nice sandy beaches for swimming and a picnic. I’ll pitch it as a mere 20 minutes of work in paddling and portaging with a pot of gold to look forward to. Low expectations and a premium being placed on relaxation and simple play is the name of the game for family trips. If all goes well the kids will allow themselves to be unleashed and self-directed as they explore the edges of the lake and woods by themselves and within earshot of mom and dad. There’s nothing worse than being stuck in a pattern of micro-managing fighting and whining. I believe this time will be different though. If you find yourself in disappointing circumstances, keep grinding on. Hope lies just around the next bend, but you have to keep moving forward. Posted in Family, Newspaper columnsTagged Boundary Waters, Camping with kids, hope, Try try try again!